In a string of brutal moves this week, the Taliban issued a video of two American University of Afghanistan (AUAF) professors who were abducted from Kabul last year. In this video, American Kevin King and Australian Tim Weeks can be seen appealing to the U.S. government to release Taliban fighters in exchange for their liberty. With this blatant approach, the militants have once again proved they have literally no respect for civilians, let alone foreign teachers who risked their lives to come from other parts of the world to share knowledge and wisdom with the Afghan nation that has been deprived by the rages of war for the past many decades. “We have been here for five months, the people who promised to take care of us have forsaken their promise, we are here with no help or hope, The American University of Afghanistan and the U.S. government have sent representatives to talk to the Taliban, but they could not reach an agreement”, Tim Weeks says while literally crying in the video. “I ask you please to raise your voice for me when I have no voice to help me”, he pleads. Kevin King can be seen in similar appalling state while requesting the U.S. government to ensure release of the Taliban fighters from the Bagram Base and the Pul-e-Charki prison in Kabul. The two specifically beg the U.S. president-elect Donald Trump to ensure their safe release. Ensuring safe release of Tim and Kevin is absolutely crucial, but the civilized world needs not to fall in the Taliban’s trap. It should be made absolutely clear to the Taliban that such war tactics that deliberately put the lives of such innocent people at risk for some sort of bargain is absolutely not acceptable. 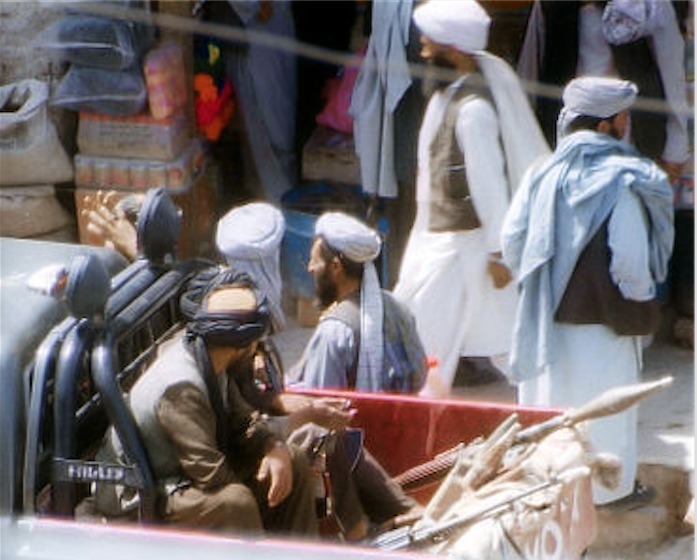 Those countries with some sorts of ties/ contacts with the Taliban like Pakistan, and now Iran and Russia should take the lead in convincing the militants that if they want to reach an ultimate peace deal to bring an end to the Afghan conflict, and become part of the future set-up they should not drag civilians and not to mention the academic and other institution of public welfare into the conflict.